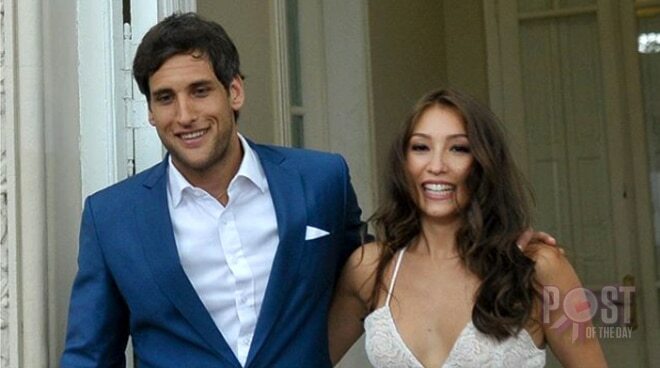 Even though they weren’t able to spend the holidays together, Nico Bolzico made sure that he still got the best gift for his wife Solenn Heussaff as they celebrate their second civil wedding anniversary. In his Instagram post, Nico said that he still couldn’t believe that Solenn chose him as her partner in life and that he would do everything for her so she wouldn’t change her mind. “In the picture, our faces stilled in shock, but it was the beginning of something unique! Until today I can not believe you chose me as your partner in life and I promise to work everyday for you not to change your mind!” he wrote. Likewise, Solenn posted a sweet anniversary message for her husband. Mi amore! Two years ago today it rained on the scariest and most memorable day of our lives. You are the best partner in life i could ever ask for! Hurry and come back home so we can celebrate. Also, i dont need to add a dot on the wifezilla owes Nico list because of the time difference. Lol Te amo tanto!